This book is a very compelling and interesting read. 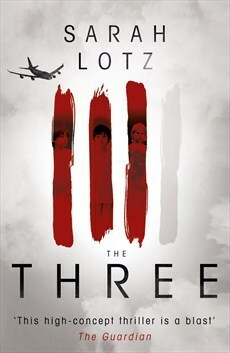 It centres around the three young survivors of four simultaneous aeroplane crashes around the world. It’s told as if it’s a book written by a writer who is investigating these children so the story is told through interviews, diary extracts and messages by people who have had strange experiences relating to these children known as ‘The Three’. I read it in a day in very long sittings because I just needed to find out how everything resolved. It’s so intricate and complex and there are so many subtle connections that it took me while to figure stuff out and even after I’d finished I kept thinking about it. I can’t really explain the plot or go into more detail as it’s very easy to spoil and even now I’m not 100% sure what happened but I definitely think it’s a book worth reading and I can’t wait to read Sarah Lotz next novel ‘Day Four’.